Ingram the Conqueror: It's Marathon Weekend!! 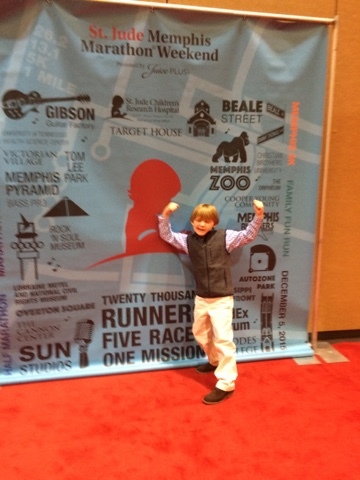 Ingram is ready to get his move on and run in the St Jude Memphis Marathon this weekend!! Ingram and ton of others will run the 5K at 7am Saturday and then the brave Marathoners start at 8am! We hope to see as many of you Team Ingram members on the course, and then hanging out afterwards. We will set up our Team Ingram tent at 320 Monroe from about 6am till around noon and have plenty of fun cheering on all the runners! and you can make a online donation through Lindsey's page. It's never too late for donations!! We will post plenty of pictures on ingrams Facebook page "ingramtheconqueror" during the day and hopefully load them on here too.